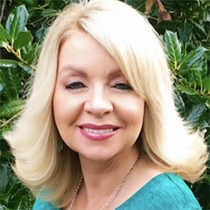 Dr. Sylvia Hart Frejd is a popular speaker, author, life coach and serves as the Founder and Executive Director of the Center for Digital Wellness at Liberty University. She has a Master’s degree in counseling and a doctorate in leadership and is certified in Internet addiction. She is also ICF certified and coaches people from all over the world, and also works as a mentor coach. She is a presenter at the American Association of Christian Counselors World and National Conferences and is featured on their Life Coach Training DVD’s.